Washington River Protection Solutions (WPRS) - Dana Engineering, Inc.
Dana Engineering provides independent inspection services and professional engineer assessments for Hanford tank farms, which store 53 million gallons of waste in 177 underground tanks. 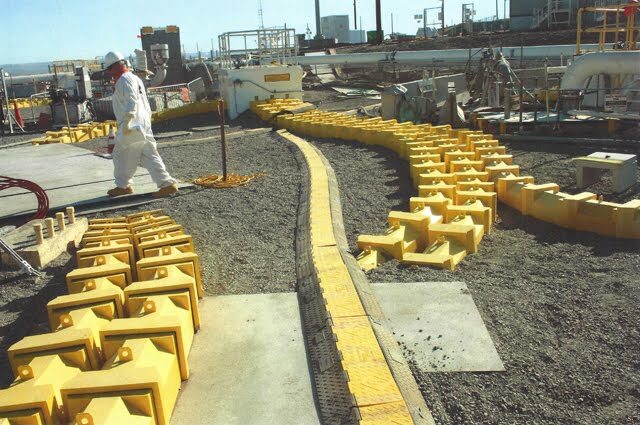 Tank farm systems are being modified to safely transfer radioactive waste to the Hanford Waste Treatment Plant, that is currently under construction. Qualified Independent Inspectors (QII) and Independent Qualified Registered Professional Engineers (IQRPE) inspect and certify project-related modifications to tank farm systems, subject to WAC 173 303 640 (State of Washington Administrative Code) requirements. Dana Engineering documents the results of their inspection(s) and engineering assessments in formally prepared reports. Dana Engineering also provides Subject Matter Experts (e.g. regulatory compliance, corrosion) to complete the independent inspection reports. Inspection/Assessment Reports prepared by the IQRPE document the procurement, fabrication, and installation of the waste retrieval systems in accordance with codes and regulatory requirements. The IQRPE reports become part of formal engineering documentation that are issued by the Tank Farm Operating Contractor (Washington River Protection Solutions, LLC) to the Washington State Department of Ecology.